Why wait to schedule a pickup? 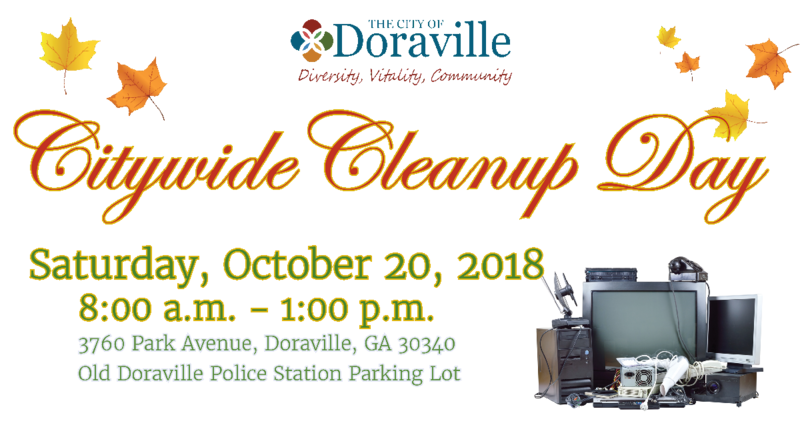 The City of Doraville is offering a perfect opportunity for residents to dispose of items that are in excess of the regular trash or require an appointment for a pickup. We are collecting bulk items, trash, electronics, cardboard boxes and scrap metals. Time: 8:00 a.m. - 1:00 p.m. Please click here to learn more about the Citywide Cleanup Day.